Today I will present few different tricks/hacks about how to stop the yarn ball or skein from rolling everywhere. 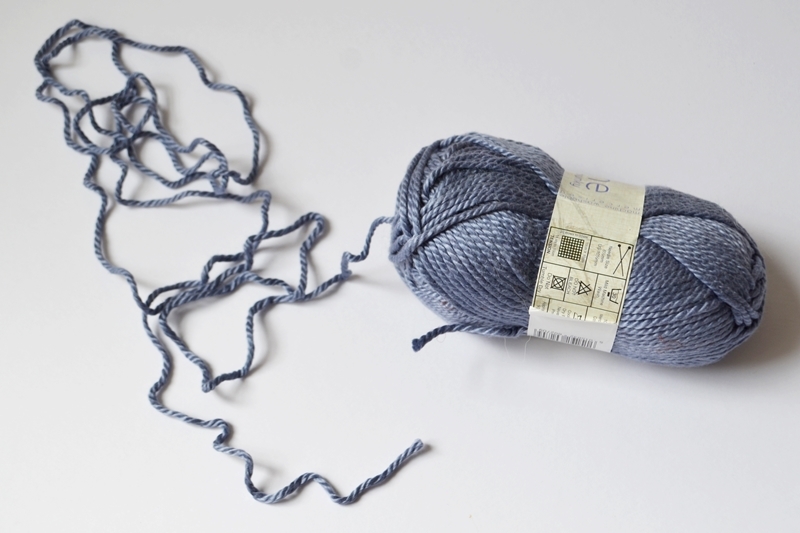 Do you know that feeling when you sit down, put the yarn next to you on the sofa and within minutes the yarn falls down on the carpet and rolls far, far away from you on the floor? Even worse if you have cats or dogs and they start to play with it while you are trying to work. If you have that sort of problem then you are in the right place. 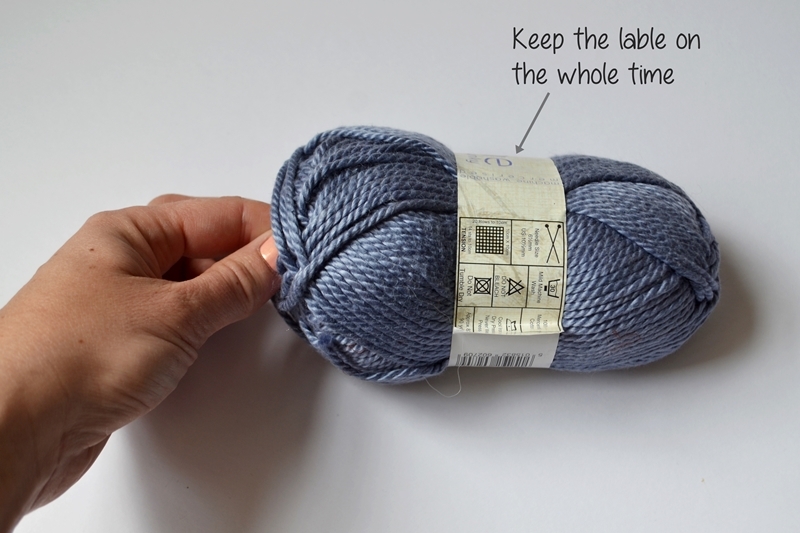 Solution 1 – Many beginners tend to rip the label off the yarn straight away and grab the outside end of the yarn to start their crochet project. I was one of them once upon the time until I actually looked into crochet book that explained to take the yarn end from the inside of the skein/ball instead. This way the skein stays in place. Step 1 – Put you thumb and index finger dip inside of the skein/ball and pinch the bunch of yarn that you find there. Step 2 – Pull out the yarn outside. Step 3 – Find the yarn end in the bunch of yarn that you pulled out and start you crocheting keeping the label on the whole time. Note: Some of the cheaper acrylic yarns are badly winded so you have to pinch and pull out a big bunch of yarn to find the yarn end inside the ball. Good quality yarn on the other hand can have the yarn end sticking out from the inside ready for you to pull and use straight away. Some of the crocheters choose not to use the above method though explaining that once you get to the end of the skein the yarn can get tangled sometimes. 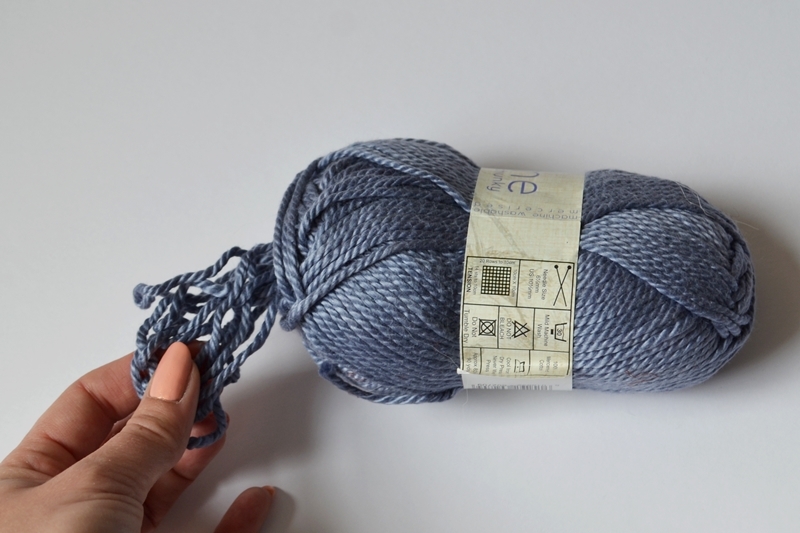 There as also situations where you simply don’t have the skein and only got small balls of yarn that you have left from other projects and now you’d like to use them. In those cases see all the ideas below. Solution 2 – Use kitchen colander to put the yarn balls inside. You can also pull the yarn thorough the wholes in the colander to stop the balls from falling out. It should be easier to keep the colours from tangling that way too if you work on multicolored project. Solution 3 – For larger skeins and balls you can choose baskets or even small office bins like I used on the photos below. I thought this lovely wire bin would be great for that purpose as it’s taller then the colander so the yarn won’t be falling out and look at all those holes to thread the yarn through! Solution 4 – If you have a bit of money and you like fancy stuff you can get a special yarn bowl. It’s only suitable usually for one skein/ball but the big advantage of it is, that it’s heavier then the above solutions so you don’t need to worry you tip it over while crocheting. 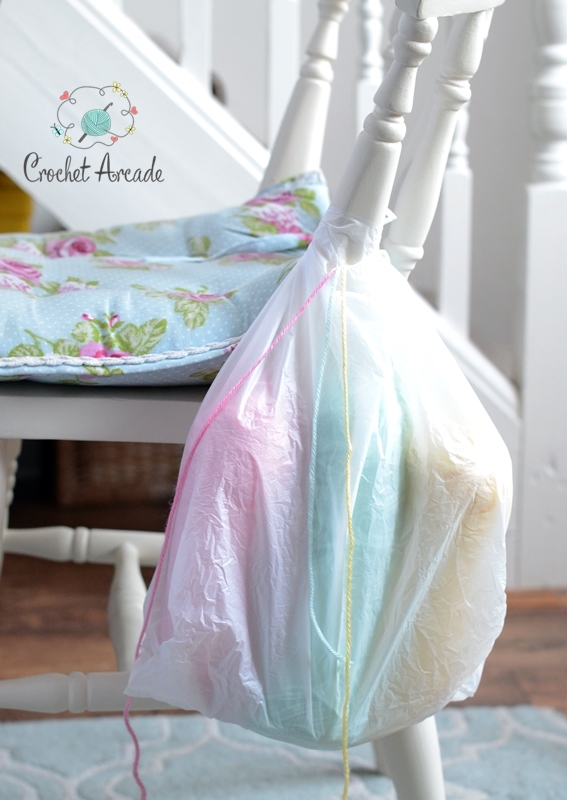 Solution 5 – Stick the yarn to the plastic bag or your project bag and hang it or put it next to you. Yarn Storage Bag for Ultimate Organisation. Portable, Lightweight and Easy to Carry Knitting/Crochet Yarn Holder with Pockets for Accessories and Slits on Top to Protect Wool and Prevent Tangling. Idea Gift! Hope you have found this Tips and Tricks useful. Happy Crocheting! Affiliate Disclosure: I am grateful to be of service and bring you content free of charge. In order to do this, please note that when you click some links on this post and purchase items, in most (not all) cases I will receive a referral commission. Your support in purchasing through these links enables me to keep designing free crochet patterns and tutorials for you to use. Thank you!